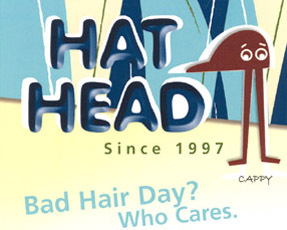 In 1997 Hat Head established itself as Door Countys headwear specialists. Owned and operated by Door County native, Bob Spielman, and his wife, Bonnie, Hat Head expresses their lifelong obsession with hats. Bob and Bonnie took their unique interest and ran with it... a store with nothing but hats! Since Hat Heads inception, they have strived to offer a mind-boggling selection of hats, in a fun and friendly atmosphere. Truly a one-of-a-kind store. Nov-Apr, F 12-5, Sa 10-5, Su 10-3.